High-quality socks coupled to a state-of-the-art rechargeable battery pack. High-low power selection switch waist-mounted control box. 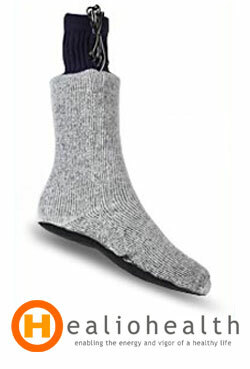 This battery heated socks designed to be worn inside a pair of insulated boots, over a pair of inner socks. The heated socks are designed to be worn inside a pair of insulated boots, over a pair of inner socks.The battery pack is quite light. One cable from each sock is normally run up the leg between long underwear and outer pants and exits at belt-level.